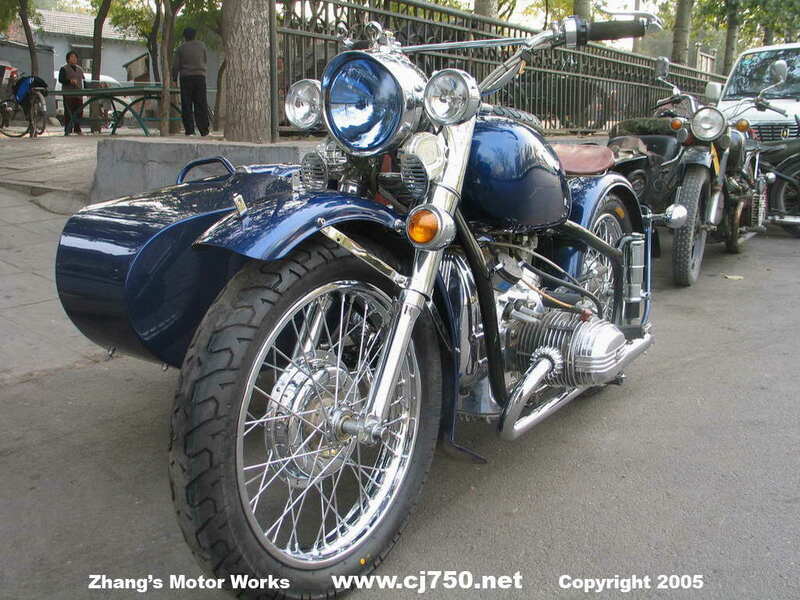 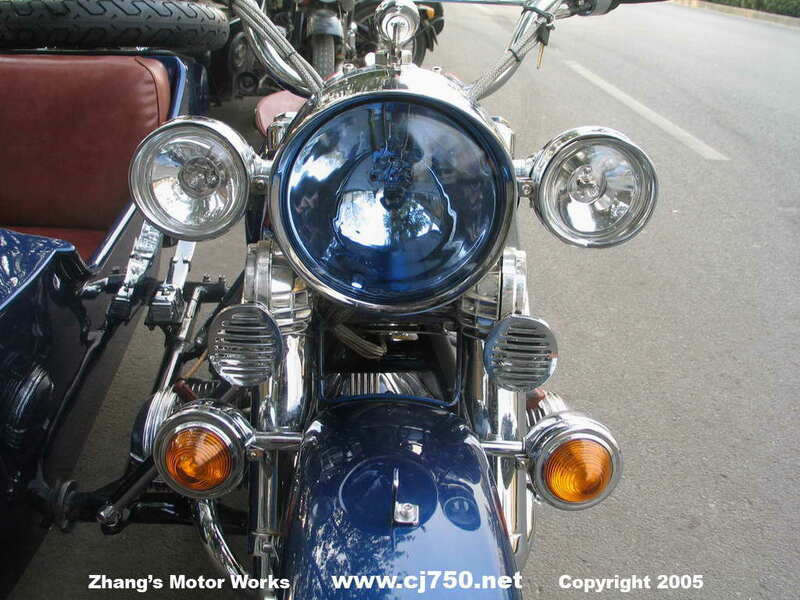 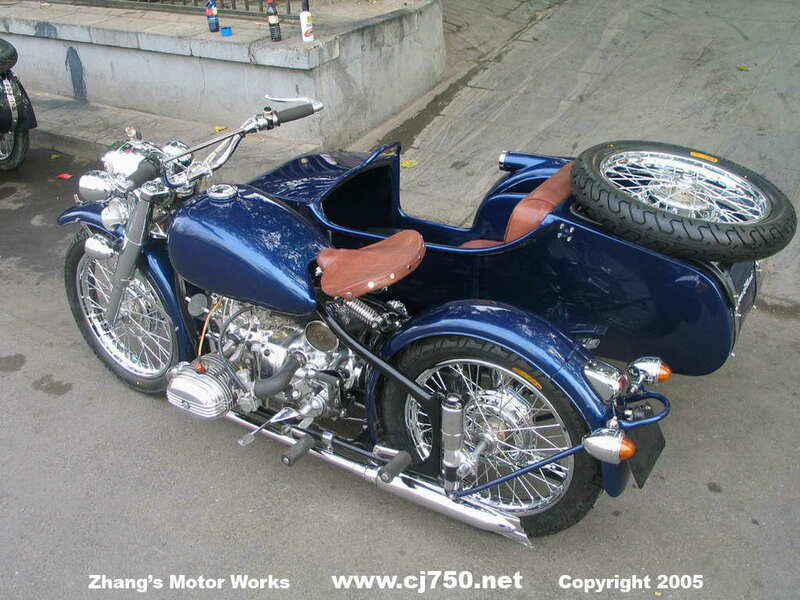 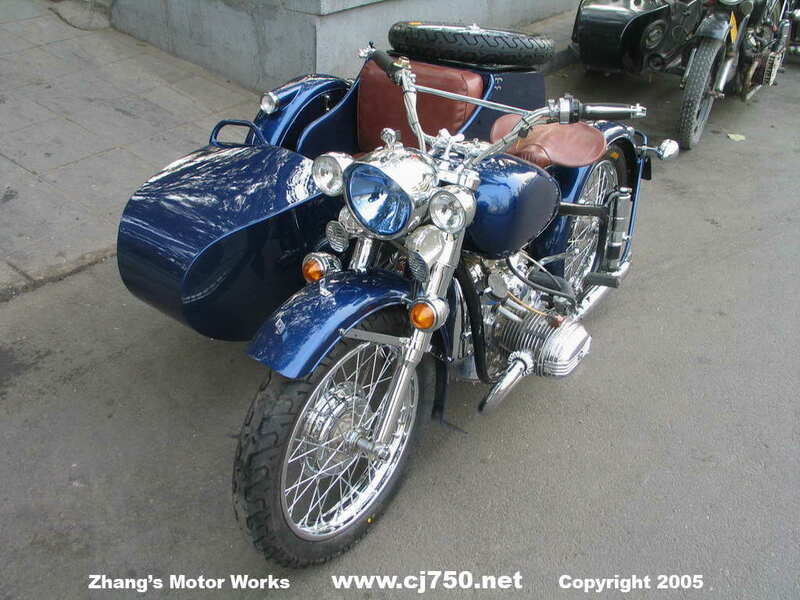 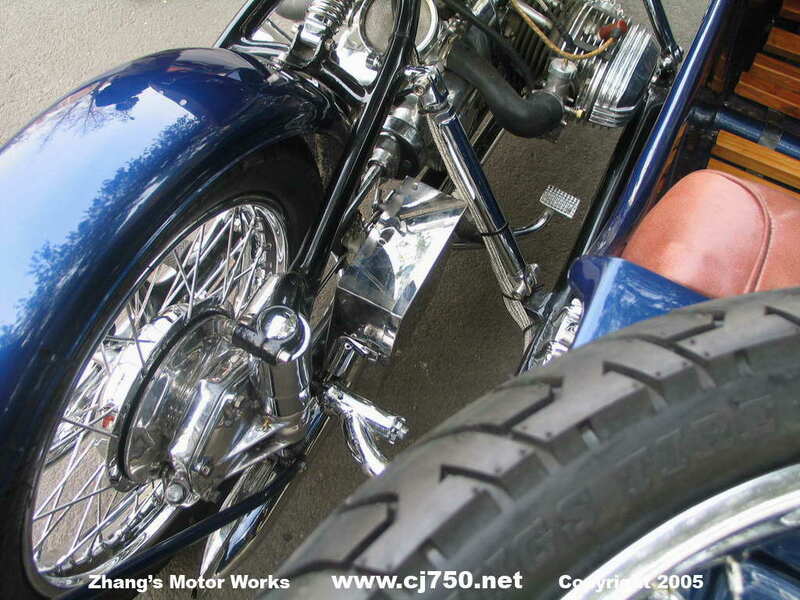 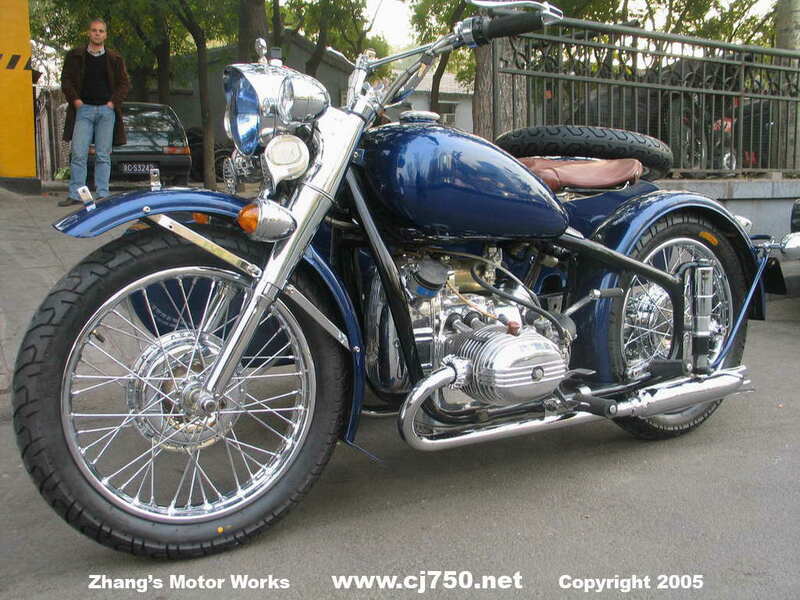 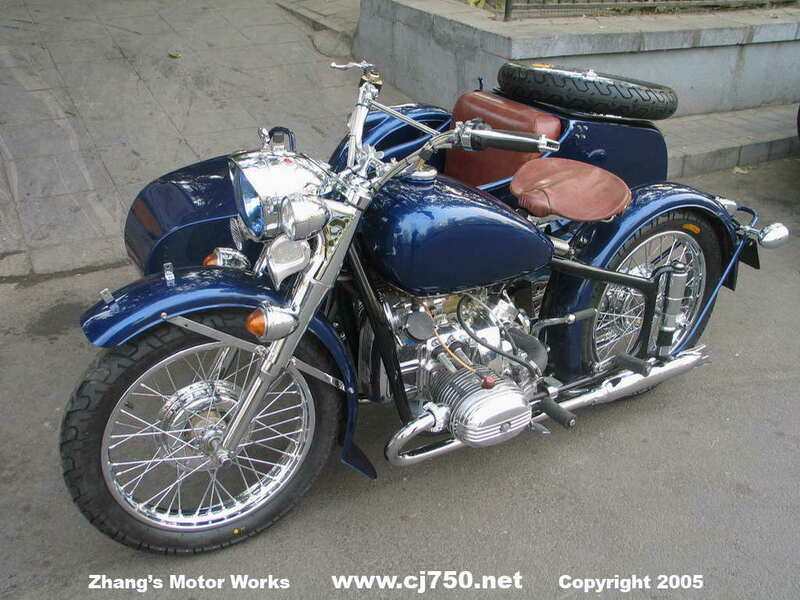 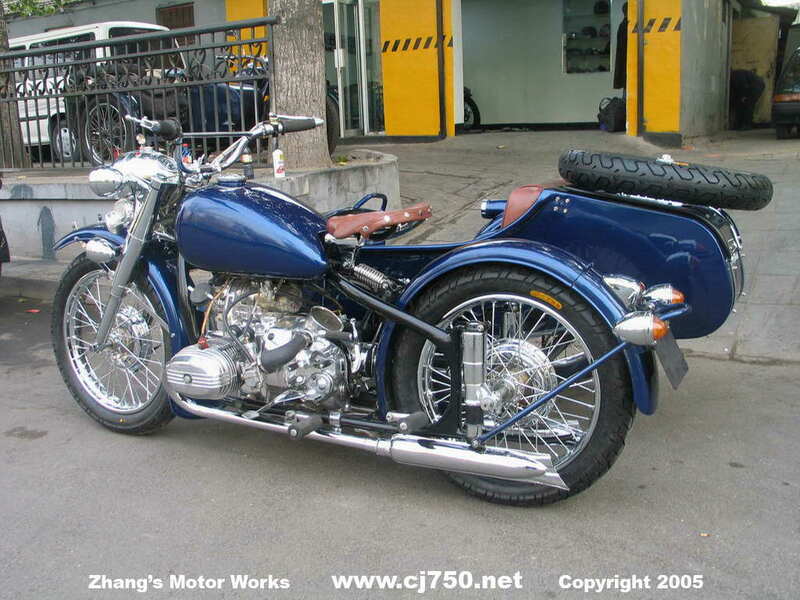 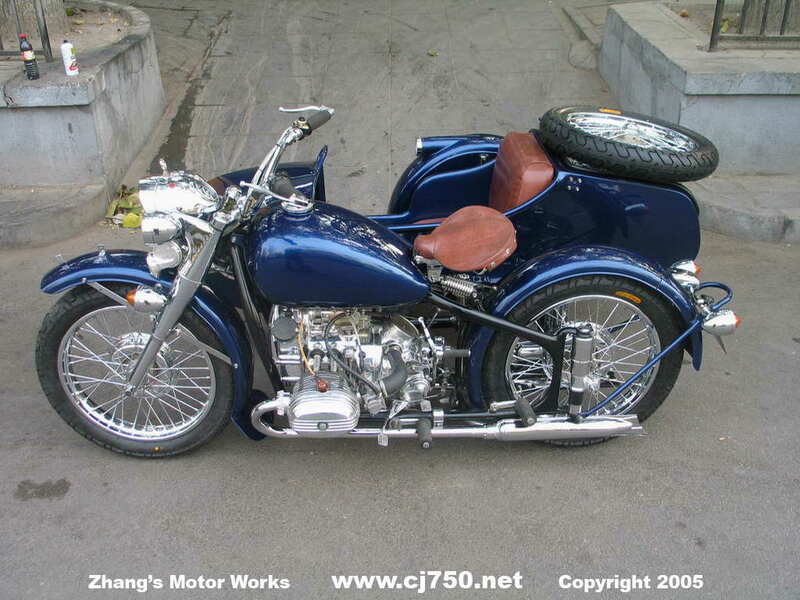 Navy Blue Premium Chang Jiang 750! 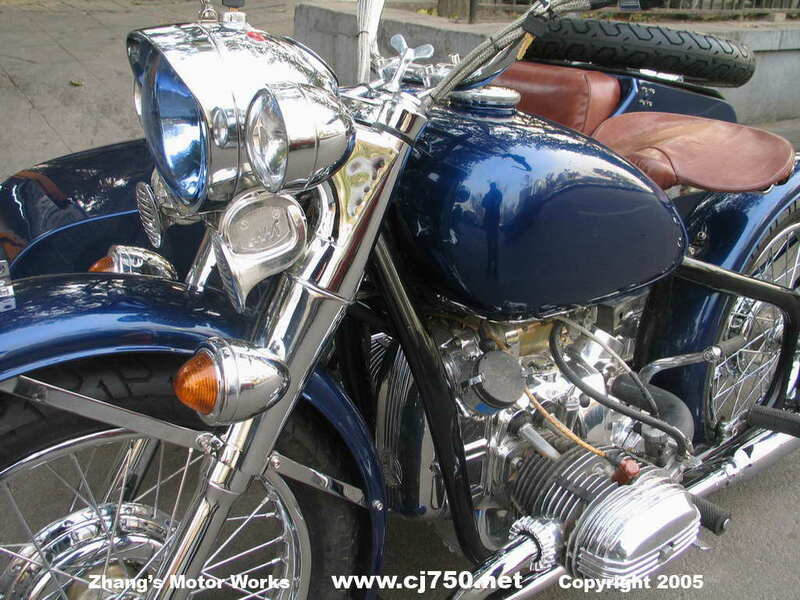 Check out the details in this premium restoration. 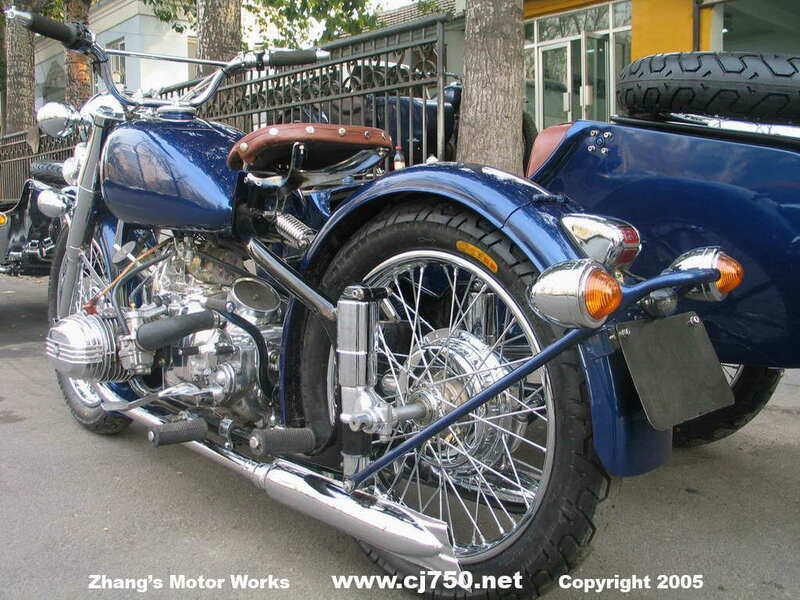 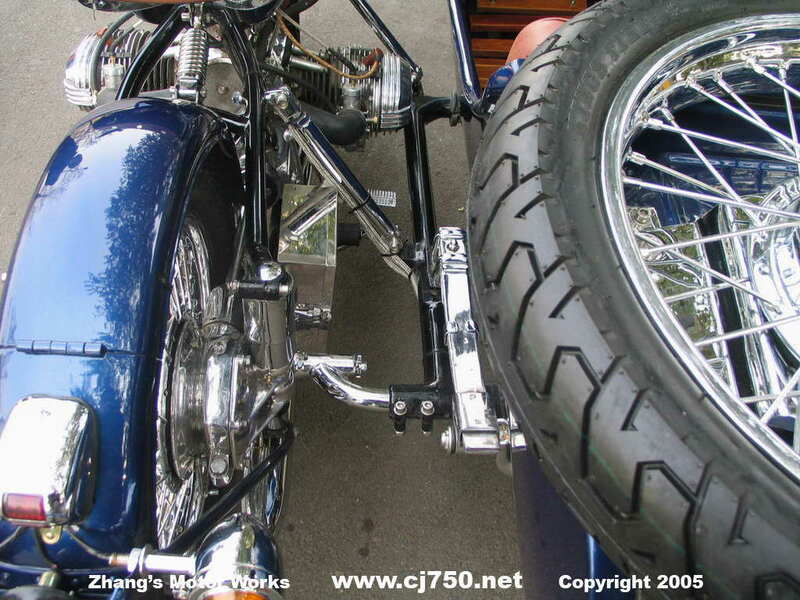 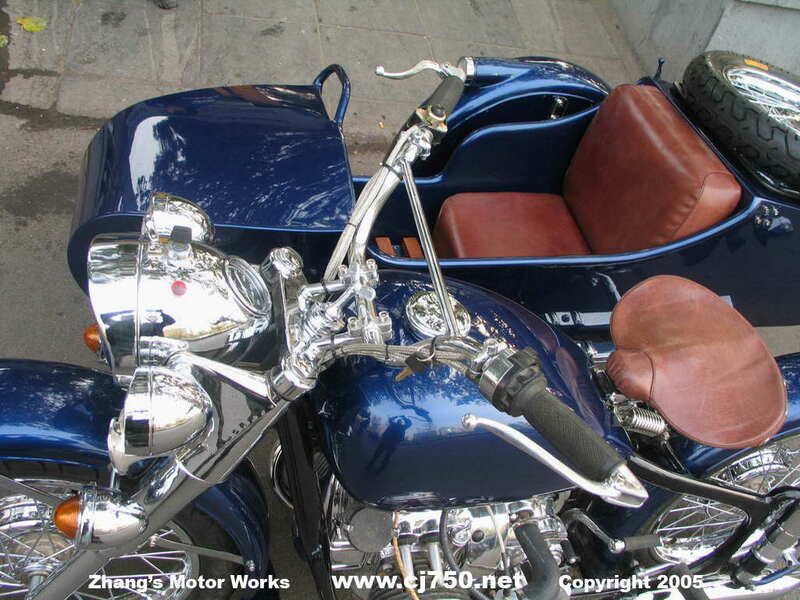 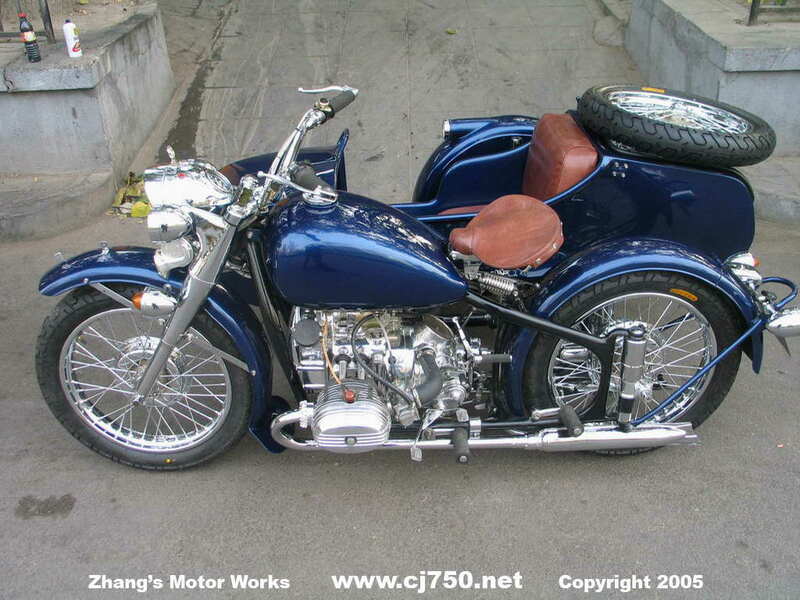 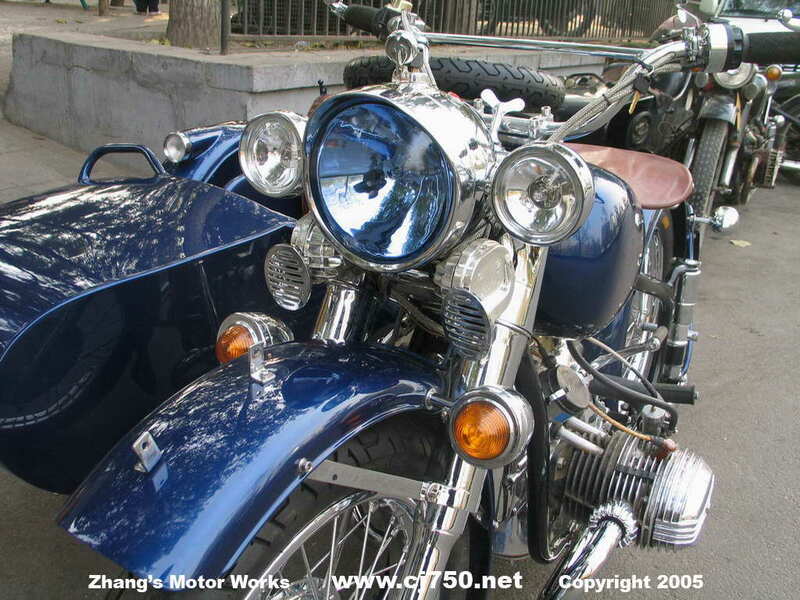 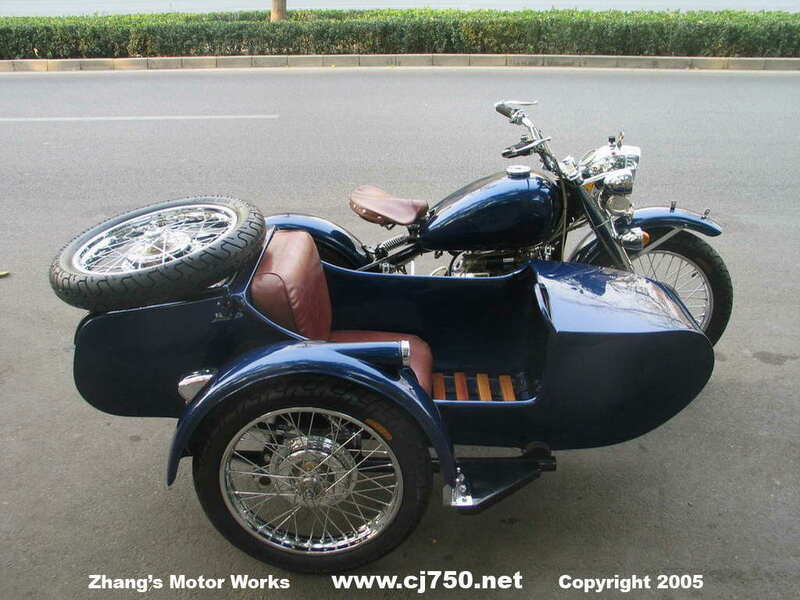 This Chang Jiang 750 sidecar has: Excellent quality chrome, new 32hp OHV engine, super polished engine transmission rear drive brake cover, hidden electrical system, racing tires, custom leather seats, halogen lamp, re-welded frame, lowered fender, 12 layer paint job, seamless bucket, duckboard, and chrome battery box. 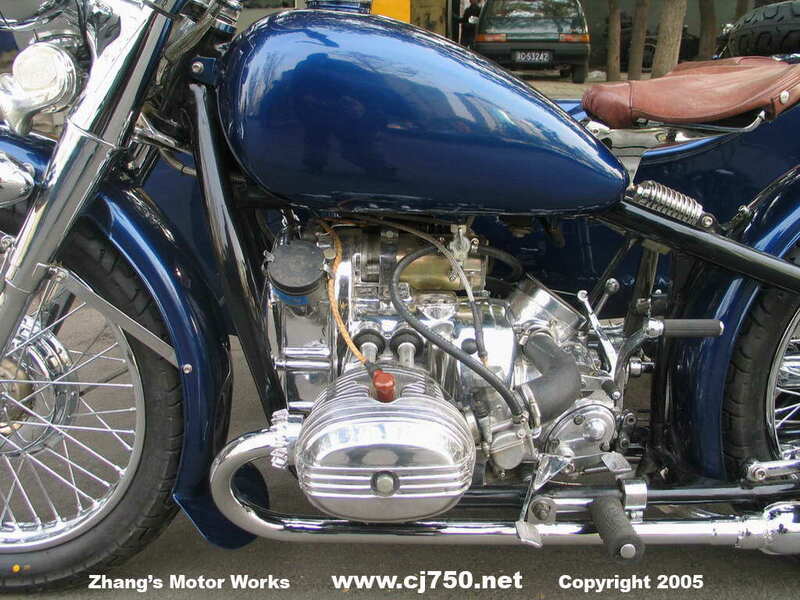 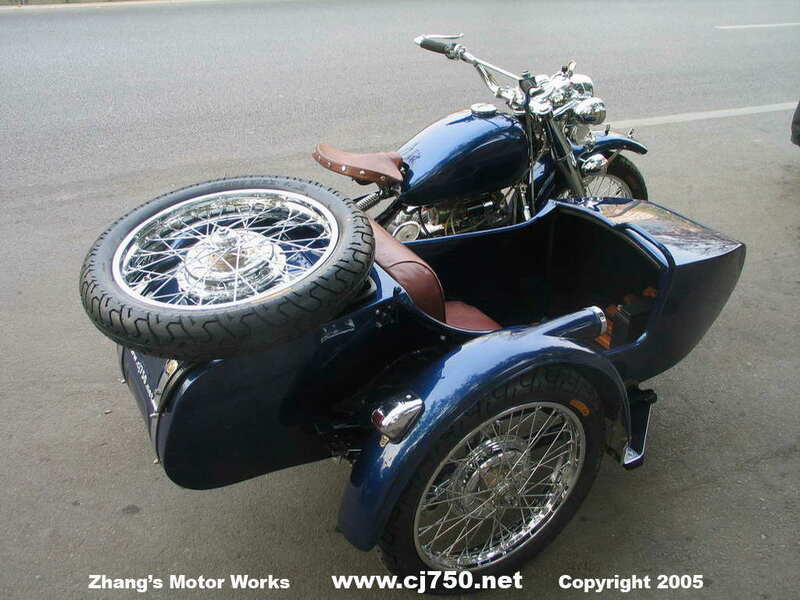 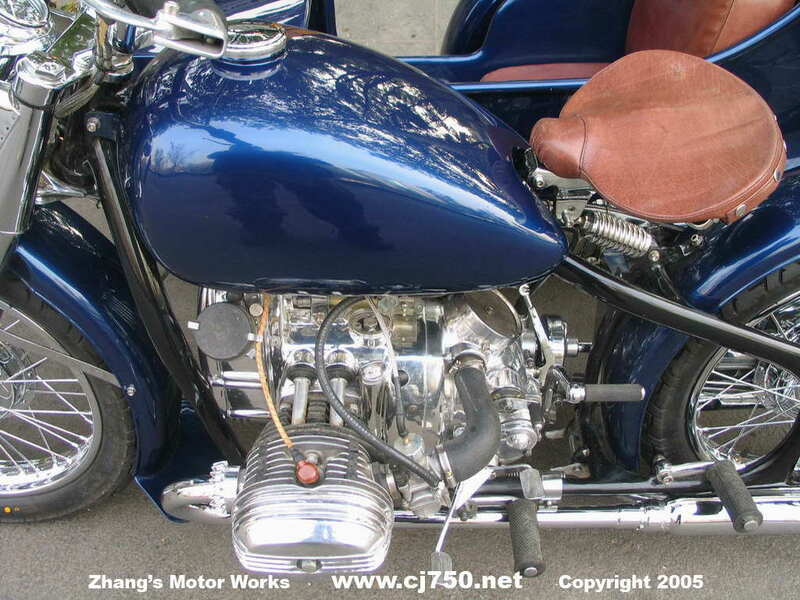 This restoration was from a PLA issue Chang Jiang 750 sidecar with all new PLA parts. 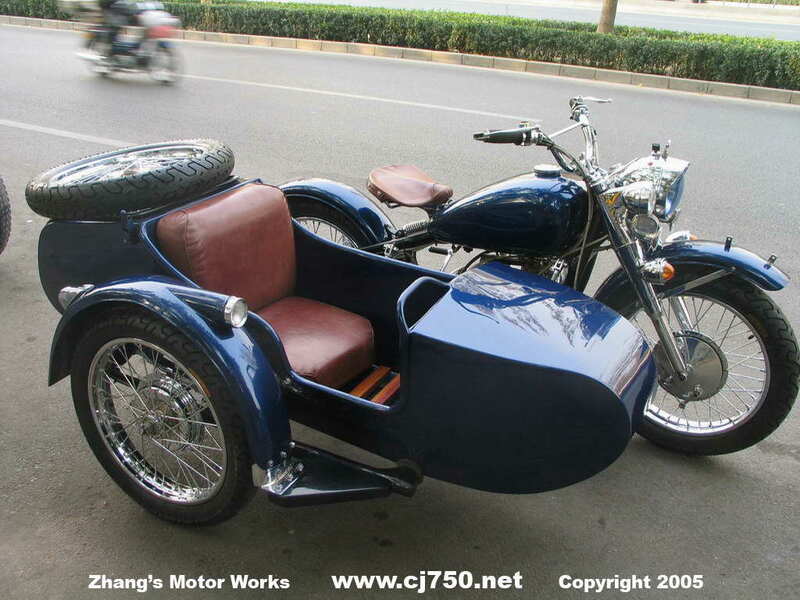 Drop us an e-mail to get started on your dream sidecar. 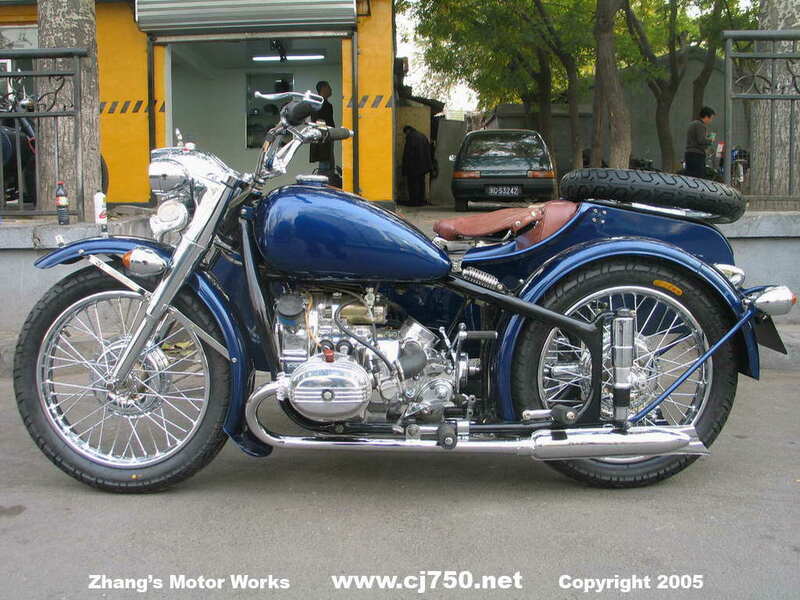 Check our our details FAQ and also our prices and you will see why we are the best Chang Jiang 750 shop in Beijing and in China. 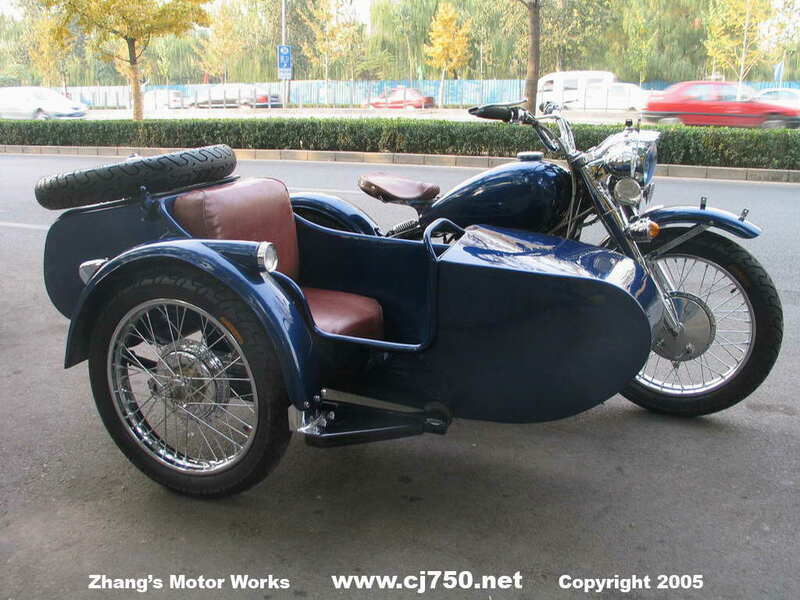 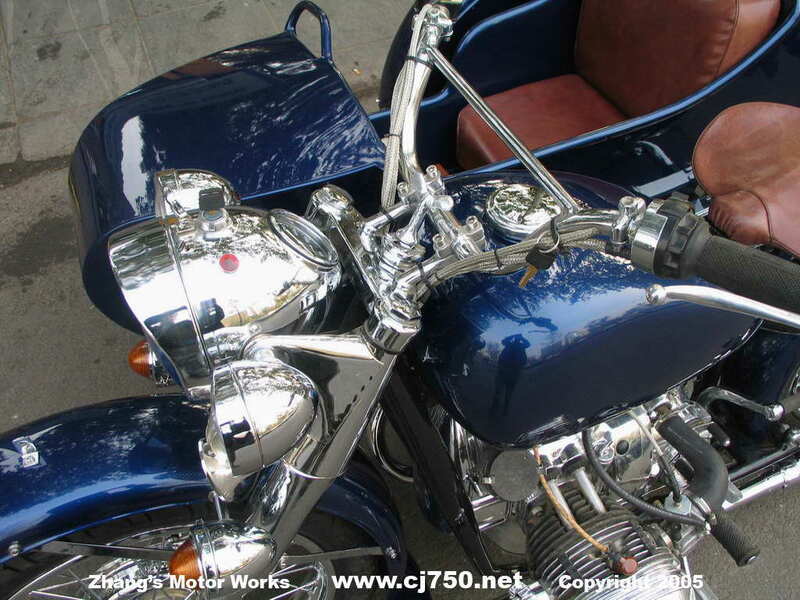 All our sidecars are at local prices and we itemize all our restoration details. 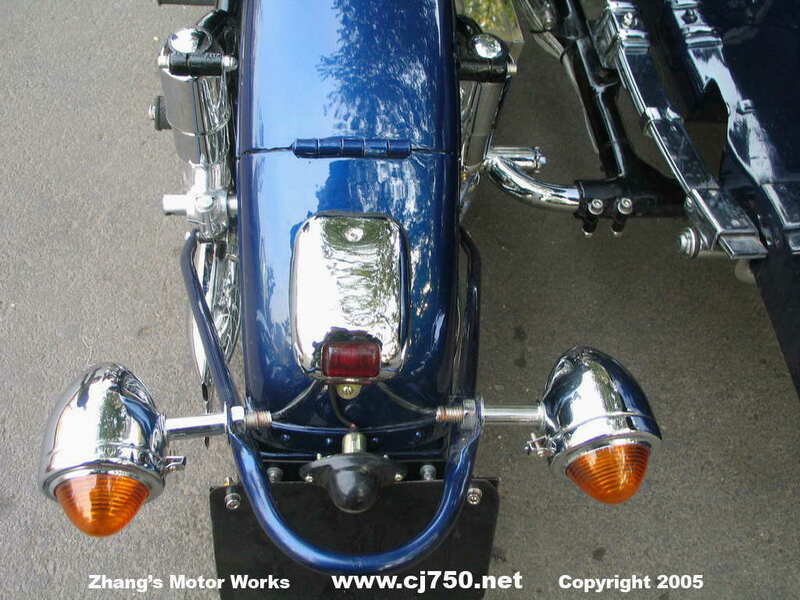 Check aound and do your research before you buy!